Spring has officially started! Although, it may not feel like spring is in full effect yet we have officially entered spring season. With Spring comes new life, mother nature comes to life, flowers are blooming, spring showers are pouring out, birds are singing, and the cycle of newness is all of a sudden among us. With this fresh start also comes spring cleaning, probably, the most beloved newness to those of us who hate the clutter. Spring cleaning means out with the old and in with the new. Time clean out the clutter in the house and freshen it up before summer arrives and things get chaotic. While you’re busy making moves and cleaning up the house the cherry on top would be spring cleaning those carpets of yours that desperately need it. Carpet cleaning is the best type of cleaning you could gift to yourself and your family. It will remove all the junk that has been sitting in the carpet since the holidays. Carpet cleaning will also help remove allergens, dust mites, bacteria and all those things that make us go “ahh choo”! From carpet cleaning to grout cleaning to sofa cleaning these are the things that matter when it comes to doing spring cleaning right. Sanitizing and cleaning out everything that has been building up in your carpet and furniture will help with allergies. Spring doesn’t only mean newness but here in Texas it also means allergy season is also in full swing. We, as people, generally, tend to spend so much of our time in doors. We think this will help lessen the risk of that runny nose and watery eyes but whatever you walk thru outside gets carried on inside. From your clothes to your shoes everything tags along and becomes that unwelcome guest. There are all types of carpet cleaning regimens out there now and days. The one that remains the best is steam carpet cleaning. It continues to be the most popular and the most effective. 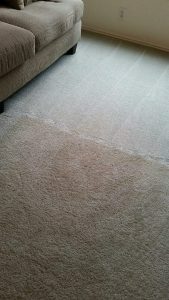 When steam cleaning at about 200 degrees Beyer Carpet Cleaning is the best carpet cleaning in San Antonio you will find. 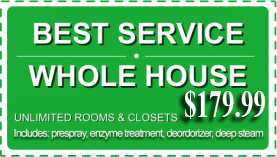 They work hard and provide the best quality carpet cleaning San Antonio has seen in years. With their carpet cleaning method which includes a spot treatment, deodorizer and a deep steam cleaning, Beyer Carpet Cleaning gives the customer all they need to really take care of their carpet. Carpet cleaning the right way means allergens, bacteria and common stains will be removed from your carpet. Being the best carpet cleaner in San Antonio means you will receive nothing but the best service all around. San Antonio’s best carpet cleaning company commands a lot of attention to their customer needs and being knowledgeable in what the real expectations for carpet cleaning should be. 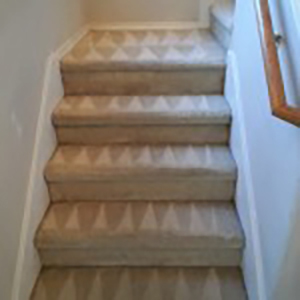 Beyer Carpet Cleaning has fully trained technicians in carpet cleaning, tile cleaning and upholstery cleaning so no matter the job it will get done right. Highly trained technicians along with top of the line products and equipment means the customer wins every time! Beyer Carpet Cleaning has a reputation in being the best carpet cleaning company so they will continue to uphold that expectation.